The man named as a suspect in the ambush murders of an Urbandale police officer and a Des Moines police officer is reportedly known to officers. Scott Greene, 46 of Urbandale, is being sought in connection with the fatal shootings early Wednesday morning. 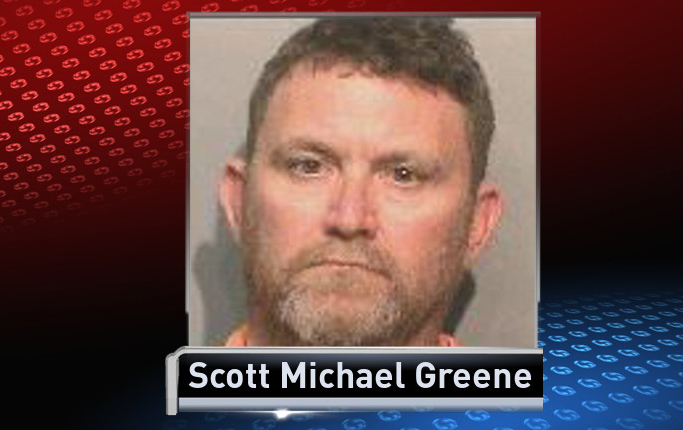 Greene has a lengthy criminal record including arrests for assault and more recently had a run-in with Urbandale police at a local high school football game. A YouTube account reportedly owned by Greene posted a video from an Urbandale High School football game on October 14th — claiming is civil rights were violated when he was asked to leave the school’s property for displaying a Confederate flag while in the stands. The man making the video, believed to be Greene, is heard arguing with police about why he was being asked to leave. Another video from his account shows a 10 second still of him in the stands with a Confederate flag and an American flag.